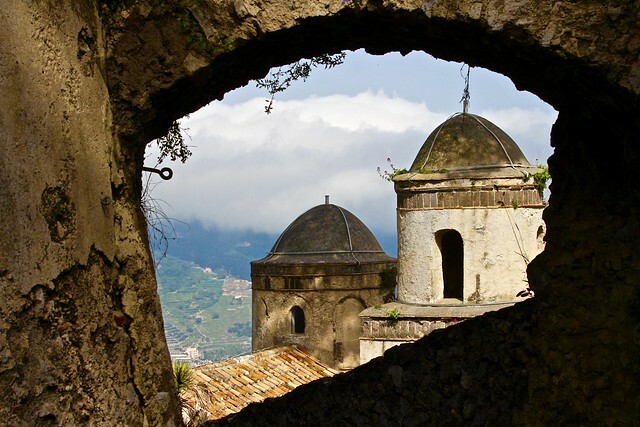 You are here: Home » It’s like heaven for me, an Island of Museums? I really love to go through museums, the art, culture, history and the stories behind all the beauty within a museum allows me to grasp so much more of our world. I have walked through museums all over the world and have probably been to no more than .0000001% of all museums. I have had the privilege of visiting Berlin, Germany a few times now. All of those trips were for business, which is a bit of a drag because it limits my fun time. Berlin is home to some of the worlds best museums whether they are museums to commemorate horrendous crimes against humanity so that we never forget those periods of history. 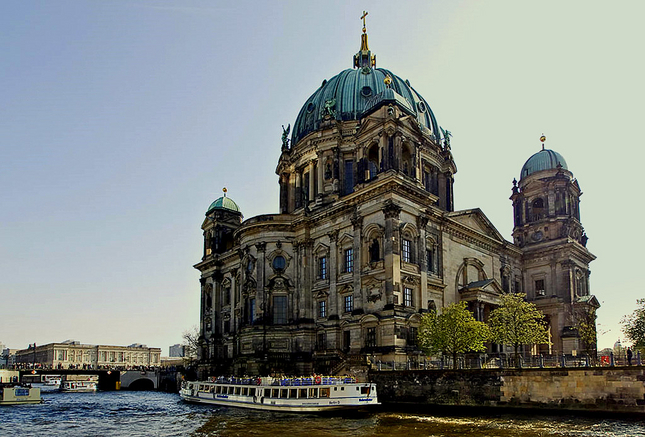 Or museums to showcase beautiful art and architecture, Berlin has them all. 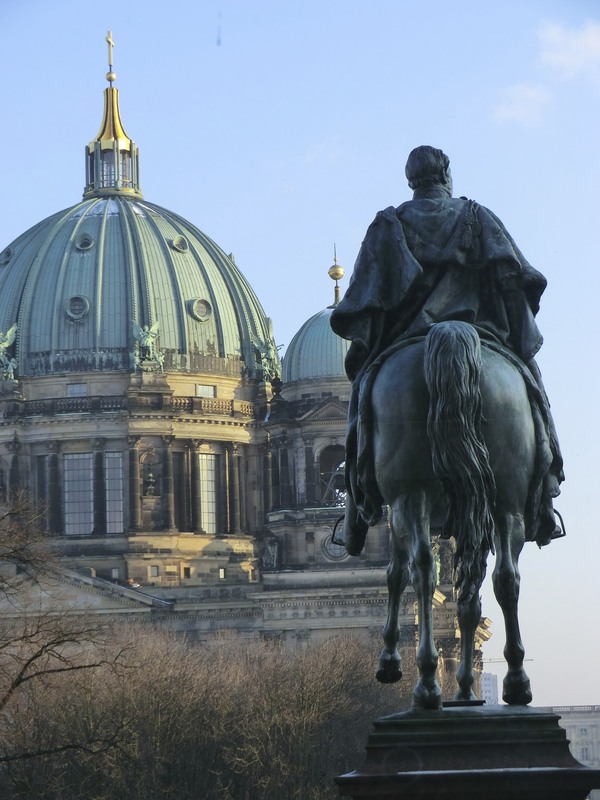 Berlin is home to Museumsinsel also knows as Museum Island. 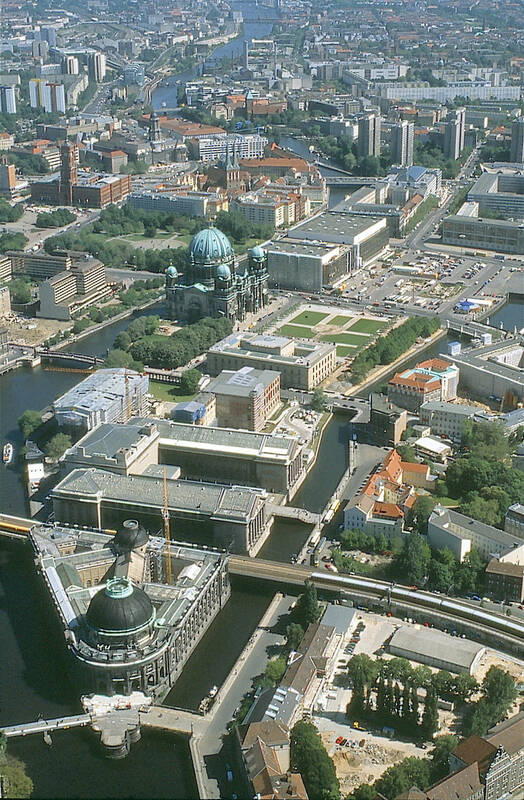 A patch of land that is surrounded by the Spree River, forming an island, Museumsinsel is in the central Mitte district of Berlin which is the site of the old city of Cölln. It is a complex large enough to hold 5 internationally significant museums. The museums are part of the Berlin State Museums. The Neues Museum, also knows as New Museum was completed in 1859. However it was destroyed during World War II and was rebuilt for the Egyptian Museum of Berlin and re-opened in 2009. 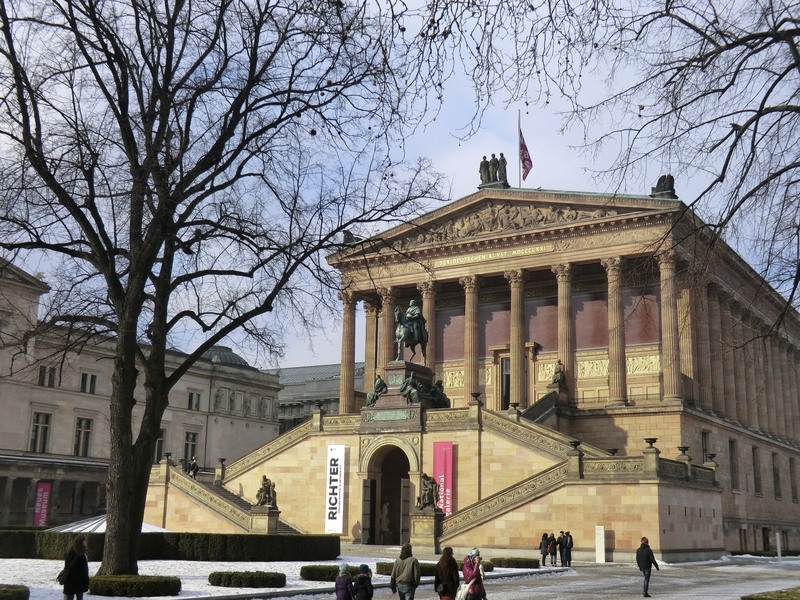 The Alte Nationalgalerie, also known as the Old National Gallery completed in 1876 to host a collection of 19th century art donated by Joachim H. W. Wagener. 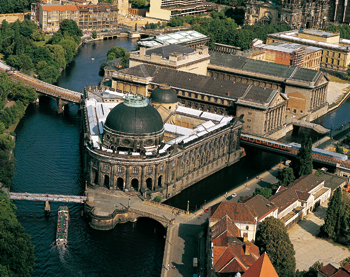 The Bode Museum which is located on the northern most tip of the Island opened in 1904 under the name of Kaiser-Friedrich Museum. It now exhibits the sculpture collections and late Antique and Byzantine Art. The Pergamon Museum which is the final museum of the complex was constructed in 1930. It holds some of the most extensively reconstructed, immense and historically significant buildings such as the Pergamon Altar and Ishtar Gate of Babylon. All reconstructed and housed within the Museum. Museumsinsel became listed on the UNESCO’s World Heritage Sites in 1999. “A first exhibition hall was erected in 1797 at the suggestion of the archaeologist Aloys Hirt. 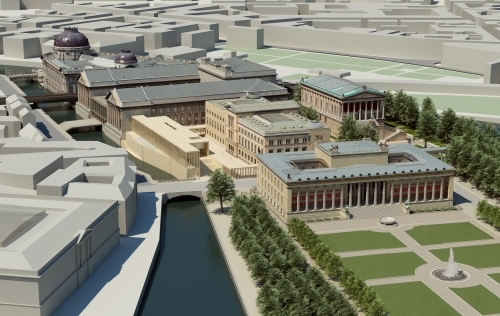 In 1822, Karl Friedrich Schinkel designed the plans for the Altes Museum to house the royal Antikensammlung, the arrangement of the collection was overseen by Wilhelm Von Humboldt. The island, originally a residential area, was dedicated to “art and science” by King Frederick William IV of Prussia in 1841. Further extended under succeeding Prussian kings, the museum’s collections of art and archeology were turned into a public foundation after 1918. They are today maintained by the Berlin State Museums branch of the Prussian Cultural Heritage Foundation. 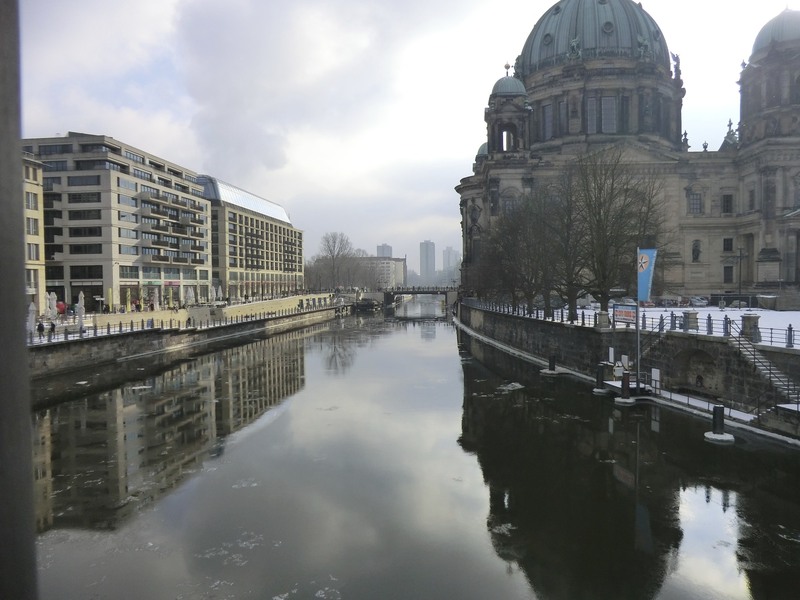 Museum Island further comprises the Lustgarten park and the Berlin Cathedral. Between the Bode and Pergamon Museums it is crossed by the Stadtbahn railway viaduct. The adjacent territory to the south is the site of the former Stadtschloss and the Palace of the Republic. The Prussian collections became separated in the midst of the Cold War during the division of the city, but were reunited after German reunification , except for the art and artifacts removed after World War II by Allied Troops and not yet returned; these include the Priam’s Treasure, also called the gold of Troy, excavated by Heinrich Schliemann in 1873, then smuggled out of Turkey to Berlin and today kept at the Pushkin Museum in Moscow. Currently,the Museumsinsel and the collections are in the process of being reorganized. Several buildings were destroyed in World War II and some of the exhibition space is in the process of being reconstructed. 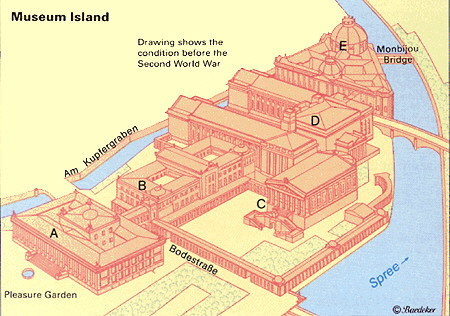 Museum Island is referenced in the song “On the Museum Island” by folk artist Emmy the Great. Sadly, I did not have the opportunity to visit all 5 of the museums on Museum Island, however I was able to visit the Altes Museum, the Neues Museum and the fantastic Pergamon Museum. As you can tell by many of my posts, I have tendancy to be a bit winded, yes I know sometimes I write posts that are too long. That point was brought home to me once by my Mother who told me she loves to read my stories, but she is busy and frankly she just doesn’t have time to read my post because they are too long. Point taken mother. So I am going to leave you with this portion of Berlin’s Museum Island. In future posts I will share more about the individual museums I was lucky enough to visit. In the meantime, I hope you enjoy the photos of Museumsinsel. ← The largest swimming pool in the world think you know where it is? The thought of a museum island is exciting for me too. It’s a place I’ll make a point to visit if I’m ever in the area. I love the pictures in this post. Did you take them yourself? If so, you have a great eye! Yes, I took the majority of the pictures, but not all. Thanks for your kind words and for following my little blog.